IT'S BACK! THE MINI IS BACK! 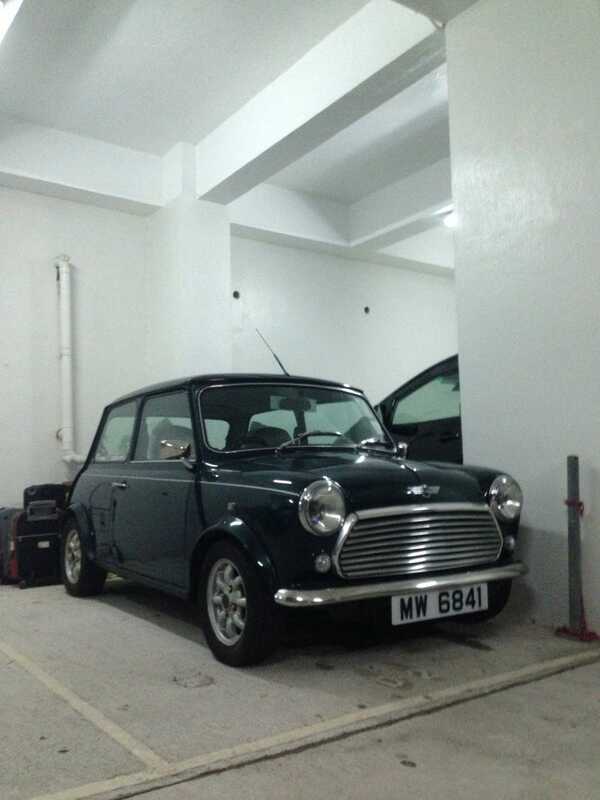 The restoration of our friend's Mini is nearly complete! It's been turned from a tired old lump into a shiny, free-revving motor. Work has been fairly comprehensive - both front fenders and door sills have had their rust cut out, new metal welded and resprayed, along with the boot lid. Mechanical work also involved the replacement of the nearly ruined radiator, along with the fan and the curing of some electrical gremlins. Also, a full wash and wax because the bodywork was sorely missing its shine. The interior is the biggest change - new seats, new carpet, new headlining, new door cards and a new stereo system. It's not yet completely finished, it still requires a few bits of trim here and there. Pictures of the interior will come when it's done. Basically, it's complete!